Like Tom Hiddleston did last year, I take on the Live Below the Line challenge to fundraise for UNICEF UK. You can sponsor me on this page. In return, I will let you know about my experience via my blog. For five days, my food will have to cost me no more than €1.20 a day. I am already starting to plan what I will buy and where I will buy it. And to be honest with you, I am a little afraid. I’m gay-friendly. Always been. Proud of it. When I was a little girl, I lived in Orléans, France and our neighbour L was an Army pilot. 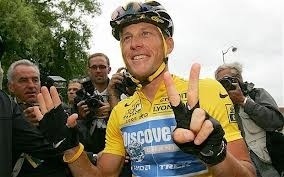 We – and I mean the people residing in the “Village S … J…”- all knew he was gay. And the good thing was he didn’t actually come out to us. He’s had two boyfriends of whom I was – and still am – quite fond and with whom I enjoyed chatting. E, the first one, is a nurse. I was really sad when he and L broke up. But whenever I eat some salade verte I think of him because he taught my mum how to make a vinaigrette which I now make myself. D, the second one, is an optician and the only one who could make me eat vegetables. He and L broke it up after only a few years together. My guess is that one loved the other way much more than what was reciprocated. Things are better this way and L finally found his Mr Right. So, yes, I’m really open minded when homosexuality is concerned. And I am ashamed to say that, until quite recently, this wasn’t the case with transsexuality. For a very long time, in my mind, trans people were homosexuals who were ashamed or afraid to be themselves. Something which I thought was insulting homosexuality. I respected trans people but didn’t understand them. “There’s no shame in being gay” I thought, “why can’t they understand it?” I, like a lot of other people, was confusing sexuality with gender. I became aware of this yesterday when I heard about the story of Arin Andrews and Katie Hill via Neil Gaiman’s and Will Wheaton’s Tumblr articles which directed me to a video published in a HuffPost article. Arin and Katie are a teenage couple who both felt they did not identify with their biological genders. They met in a support group and fell in love with each other. And we all know what happened next: they transitioned together. I found this to be really cute but didn’t understand why they transitioned in the first place. They were heterosexual weren’t they? I watched the video. And, after all those years, finally understood it. Now I laugh at my own ignorance. I laugh because laughing is much better than crying. I learnt a very important lesson thanks to what you said in that video. And I thank you for this. I’m addicted to this blog. I’d go on a date with the blogger but I am obviously the wrong gender. So I made him my muse. I think I found my subject for my next year’s research paper. And a motivation to resume dating. With nice straight – or bi – guys. But this is another story. A private story. One of the most harrowing parts of having an online dating profile seems to be the necessity to write about yourself. Countless singletons struggle with this, and, boy, does it show! So you’ve done the hard bit, right? Whether you’ve picked someone up in a bar or your eyes have met over an internet cable on an online dating site, you have managed to successfully woo someone into going on a date with you. Now, all you have to do is lay on the charm, keep the drinks flowing and your eyes bright and the rest will fall into place, yes? Well, maybe. Social media: Form of self-help or enabler of self-doubt? The 2010s are truly the age of the share, whether Instagramming pictures of your breakfast, Facebooking all your friends about your holiday or tweeting a link to your latest blog. Social media has turned us all into broadcasters, producing special-interest programming on every aspect of our lives and thoughts. We are all our own chat show. But while we gently mock those who overshare or bore on about their children or their dull jobs or impart half-baked political opinions, social media has also given us a window into people’s lives that we’ve never had before. Total strangers upload pictures of themselves in new outfits, on nights out, in fabulous apartments and occasionally – on Naked Sunday, for example – undressed. And we observe, we judge, we aspire. We envy. Mishima Yukio was one of Japan’s most prolific-and prominent-authors. Thrice he was nominated for a Nobel prize, thrice he was denied the final win; one time in favor of his friend Kawabata-the one who introduced him to Japan’s main cercles littéraires. If only one thing were to be remembered of Mishima it would be his patriotism which governed his life completely. Leading to his death by seppuku. Which probably is the reason why Mishima is such a fascinating figure. Would we be as interested in his work as we are now if he were still alive? Or if he had been straight instead of bisexual? Let us hope that, yes, we would. Because his work deserves to be known much more than it already is. It deserves to be studied in every literature class in the world. 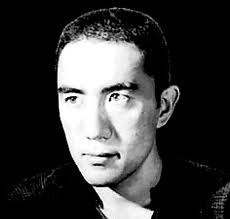 Here is a very interesting interview of Mishima Yukio-who spoke English fluently-on various topics such as Kabuki theater or seppuku. If you ask any of my friends about my taste on TV series, they’d tell you about my being fan of Bones, Dead Zone, Doctor Who (hence the blog header) and Torchwood. If you insist, they might also speak about Highlander : The Series or Angel. But they’d never tell you about Criminal Minds. Until very recently (i.e. three weeks ago), Criminal Minds was but a name on the TV program for me. I had watched it only once or twice back when I still lived at my Mom’s. Now that you know, you are probably wondering why I’m writing this article. It’s not like the series has been a big influence in my life. But let me explain. Three weeks ago, I had a really bad sore throat and had to spend the week home. Needless to say I got bored pretty fast. So bored that I started doing something I usually don’t do : watching catch-up TV in the daytime. That’s how and why I came across a rerun of Criminal Minds. I got hooked almost immediatly after the first minutes and I noticed a character, the youngest of them all : Dr. Spencer Reid. He sure isn’t your average federal agent : he is less than thirty untill season 7 and has got three PhDs. He can be compared to Bones‘s season 7’s Dr. Lance Sweets. The both of them are young geniuses working for the FBI with Sweets becoming more a Reid-like agent than whatever he was before. But in the end, the more I watch the more I think of it as quality show-the exact opposite of a crap show-with good story lines and where the bad guys-aka unsubs-are well written characters in their own right and certainly not here to make the heroes seem smart. A show that avoids typecasting-remember Robert Englund and allowed Jackson Rathbone to prove how great an actor he really is. But this is another story. Please tell us it ain’t so. He doesn’t know how to go on. But the good old days have gone. I tweet … a lot.